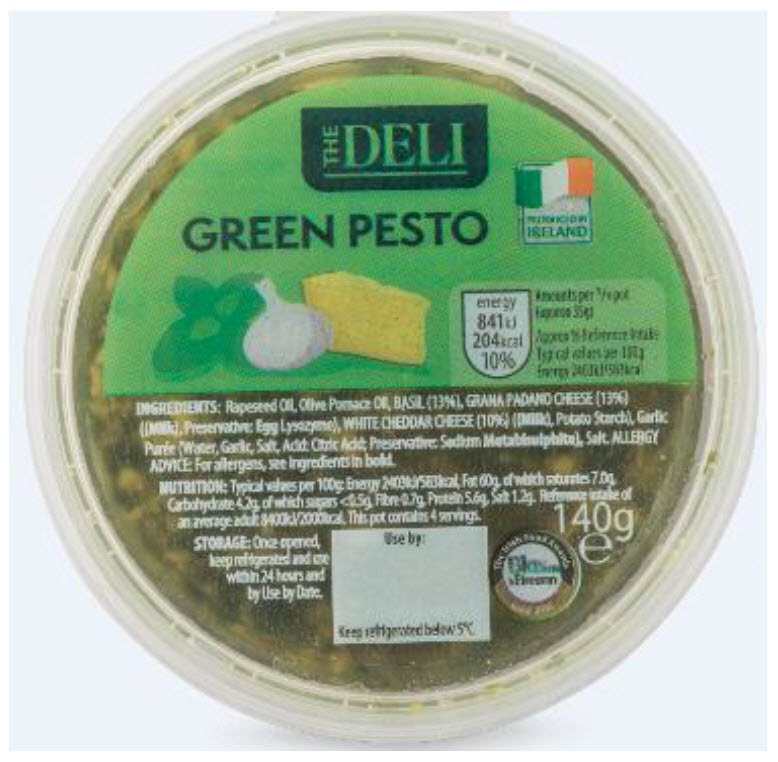 Aldi is recalling the above batch of its The Deli Green Pesto due to the detection of Listeria monocytogenes. Point-of-sale recall notices will be displayed in Aldi Stores. This entry was posted in Food Hygiene, Food Inspections, Food Micro Blog, Food Microbiology, Food Microbiology Blog, Food Pathogen, food recall, Food Safety, Food Safety Alert, Food Testing, FSAI, Listeria, Listeria monocytogenes, Uncategorized. Bookmark the permalink.